Excessive sweating always remains to be the elephant in the room to address! And the worst of it is experienced at the workplace. The awkward situation surrounding the sweat marks of a co-worker is hard to deal with and to imagine that particular co-worker is you is even worse. There are several ways you can ensure that you do not get trapped in the horrible situation. The undeniable sweat that is never ready to leave your side can be annoying to deal with. 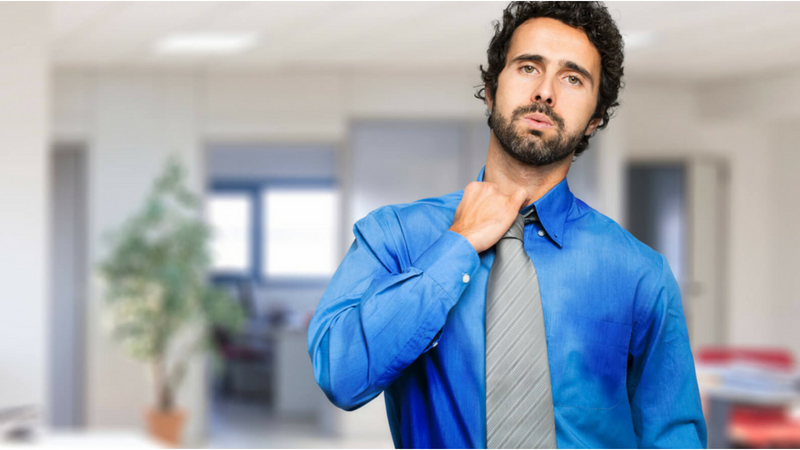 Sweat marks can result from excessive stress that can lead you to change several shirts just to cope up with it. NGwear’s sweat shield shirt can help you deal with the frustrating sweat in many ways. Have a look at some of the major reasons why every business person requires an anti-sweat shirt to escape from the fate of embarrassment. 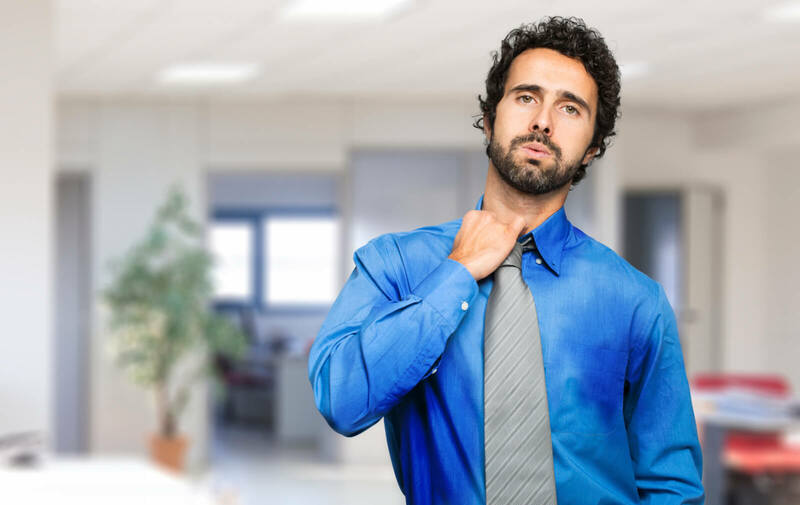 Sweating can ruin your favorite and expensive shirts and suits. Choosing to wear a sweat resistant shirt can necessarily help you save a lot in the long run. The tinted yellow stains from the sweat can stay to ruin your wonderful and elegant white shirt, which can give a distressing look. Getting a sweat proof shirt can help you save face in high-end business meetings when you need to put an impression. Invest in a sweat shield undershirt and protect your decent image in front of your colleagues. Your overall dressing style can affect your professional life to great extents. Confidence is enhanced through the showcase of good authority, intelligence, inner potential, and financial success, and for that, your appearance has a major impact. In case of salespeople in the business world, the impression is very important. Blooming with self-confidence can help you climb the ladder of success to meet your regular sales numbers. At times, stressful environments can lead you to sweat a little too much and this can cause sweat stains. This can affect your self-confidence on the work grounds. You will be constantly worried if your boss or any other important colleague gets a hint of those stains. But a sweat absorbing shirt can help you to save face and this essentially keeps your self-confidence high. Getting a durable and efficient undershirt can help you save a lot. Instead of buying a pack of cheap undershirts which are good for nothing is not a good investment. Get NGwear’s sweat proof undershirt and watch the transformation happen. You do not have to buy a whole pack when just a few can help you out on a long-term basis with its high-quality and durability. The primary reasons for the yellow stains on your favorite shirts are due to the use of antiperspirants. They can be impossible to get rid of, especially from your crispy white shirts. A sweat shield shirt can come as a good remedy for the same. These unique shirts can trap your sweat and release it as vapors instead of ruining your special shirt. This significantly manages to avoid the irritating stains on your shirts while simultaneously saving you the time and cost of having to buy a high-end antiperspirant. Discard the need of carrying extra shirts to work just to swap it with your sweat ridden shirt. All the commotion of having to change clothes at work can be really frustrating and can cause anxiety. 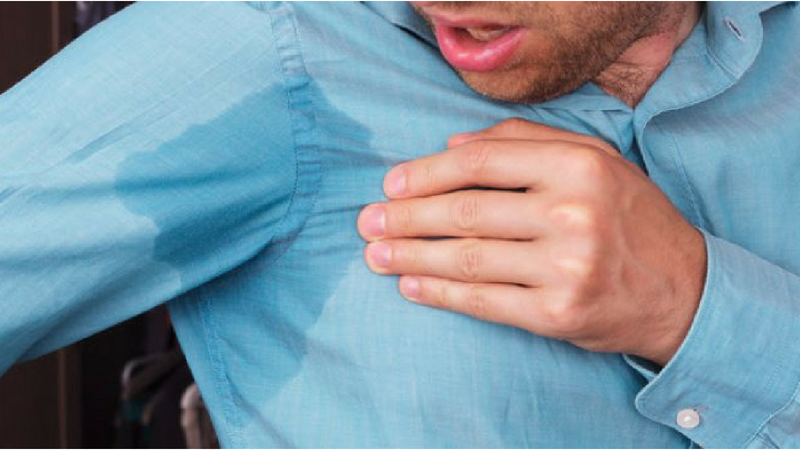 Excessive sweating can make you do crazy things just to save you from the embarrassment. Sweat absorbing shirt can help you deal with this, enabling you to save a lot of time and effort that you can spend focusing on your work instead. This also eliminates the stress of having to deal with the sweaty situation. Sweat-proof undershirts are truly an innovative and smart alternative to conventional shirts and it works wonders for those having to suffer excessive sweating due to stress. Get NGwear’s anti-sweat undershirt and stop your sweat from ruining your day at work and protect your precious shirts. You will notice the benefits in no time at all. 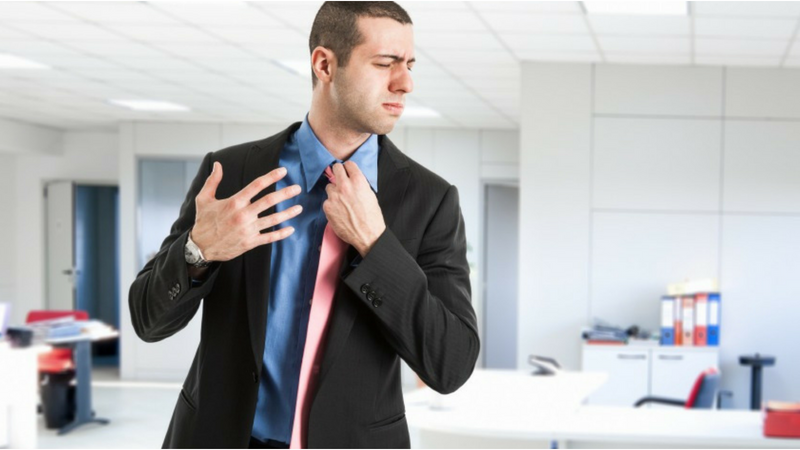 Have to wear a suit to the workplace but can’t bear to do so due the summer heat and excessive sweating? Here’s how to stay cool in a suit even in the summer heat.